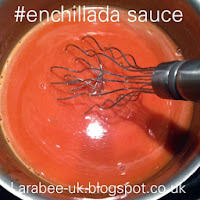 When I forgot a jar of enchilada sauce recently, I did a quick google search and found how easy it was to make from scratch, obviously I couldn't just replicate the recipe, I had to tweak it a little for UK staples and to suit what I usually have on hand. I love finding these little storecupboard recipes, it's cheaper to make your own and so much better for your family without the stabilisers and additives. It takes about 10 minutes to prep so it's not really a labor intensive recipe on a work night, and it can be frozen. Wins all round! This recipe provides 4 portions of 200ml (enough for 2) or 2 portions of 400ml (enough for 4) I actually freeze mine in individual portions of 100ml and then just take out what I need when I need it. 1. 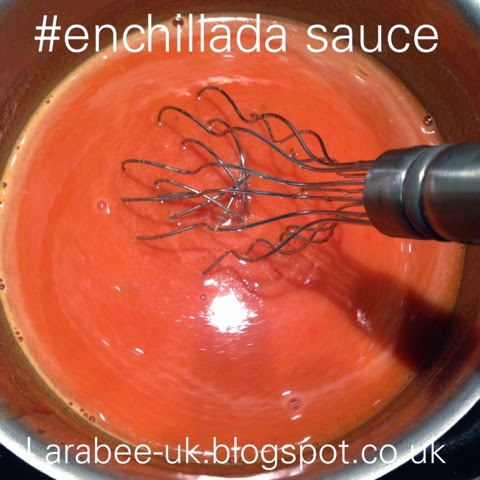 In a heavy based saucepan warm the oil, sieve the flour, cumin and chilli powder into the oil and whisk over moderate heat for 5 minutes taking care not to burn, keep whisking the paste all the time. 2. Add vegetable stock and turn up the heat to bring to a boil. 3. 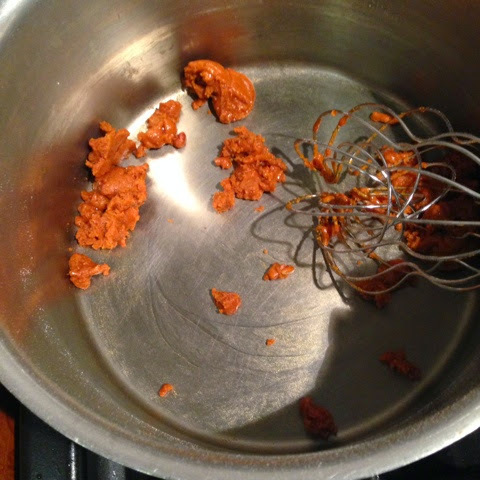 Blend tinned tomatoes with a stick blender and add to the saucepan, bring back to the boil. 4. Reduce heat and simmer for 10mins. Use as you would a jar!